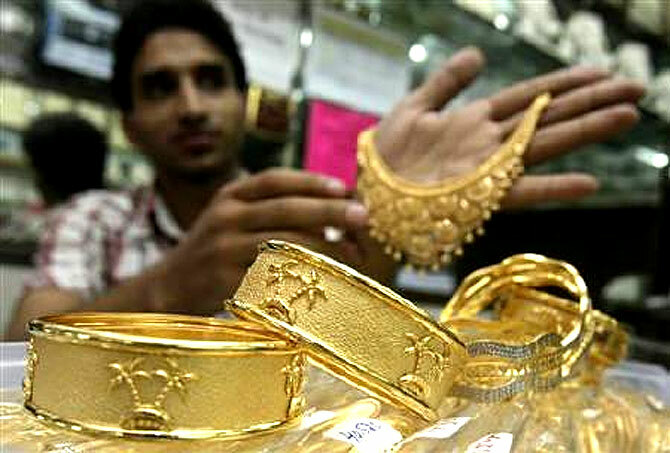 While gold returned 12 per cent annual gain in 10 years, Nifty didn't exceed 9 per cent. There's euphoria on how the stock market is now trading at an all-time high, tempting some to name it a bull rally and gathering momentum. However, closer reading of the numbers suggests the markets haven't delivered really exciting returns in the past decade as compared to other asset classes. From the start of 2007 (then reckoned as a strong bull market year) till date, even as the CNX Nifty (benchmark index on the National Stock Exchange) rose from around 4,000 to 8,924 points till date, the annualised return translates to nine per cent. In comparison, gold and risk-free bonds have returned a 12 per cent CAGR (compounded annual growth rate) and 7.6 per cent, respectively. As equities are a riskier asset class, their returns ought to be higher than risk-free bonds by a good margin. It is possible that had it not been for the Lehman Brothers crisis of late 2008, the brake might not have been applied on Indian equities. The Nifty rose from around 4,000 points at the start of 2007 to 6,287 points by January 8, 2008 (pre-Lehman high). The gain from January 8, 2008, till date is no more than a four per cent CAGR, showing the road to recovery after Lehman has been painfully long. Reliance Industries, Bharti Airtel, Idea, and NTPC are among the stocks yet to rise above their pre-Lehman level. In the previous 10-year period -- 1997 to 2007 -- equities outperformed the return from gold, at 21 per cent CAGR gain versus the latter's 7.8 per cent. Risk-free returns were about 7.6 per cent. Experts say there are strong reasons holding back equities from replicating the performance in the rally between 1997 and 2007. "The biggest missing component now is the investment demand cycle," explains Pramod Gubbi, head of equities at Ambit Capital. "2003 to 2007 was the best capex (capital expenditure) period. While sectors like consumption, information technology and health care were already going good, the capex cycle lifted others like construction, real estate, infrastructure and even banking & financial services. These sectors constitute 30 per cent of the economy. This piece has been missing in the past 10 years." Amar Ambani, head of research at IIFL, also points to the absence of credit demand. All of this is reflected in corporate earnings. "We are still at least Rs 100 to Rs 120 points short of the FY17 earnings per share (EPS) target set for Nifty companies two years ago," he notes. When growth is constantly pushed by two years, it would be unfair to expect equities to outperform, he emphasises. Others also point out to the subdued earnings growth figures. Dhananjay Sinha, head of institutional research at Emkay Global Financial Services, says the current earnings growth is much lower than in 2007-2008. "The current rally in stocks is, hence, largely driven by liquidity as the four per cent earnings growth doesn't justify the rally fundamentally," he adds. A majority of experts believe that unless earnings growth gathers momentum, a flush of liquidity might not take the stock market to newer highs. That said, experts continue to believe Indian stocks remain an opportunity for bottom fishing. "There are still many stocks like State Bank of India, Sun Pharma, TCS, Tata Motors and Lupin which offer value in the large-cap space. Even in mid-caps, there is room for bottom fishing," says a fund manager who handles both types of portfolios. However, he also warns that the ground for such fishing is shrinking. "We are seeing money chase mid-cap and small-cap stocks. But, valuations for these stocks are also reaching a tricky level. So, unless the large-caps offer more confidence in terms of earnings, it restricts our investment opportunities," the fund manager warns. Among the mid-caps, IPCA Laboratories, Mahindra Holidays, Blue Star and APL Apollo are attractive, say experts. Photograph published only for representational purposes.